There were major coal mines in Iwaki City during 19th and 20th century for more than 100 years. 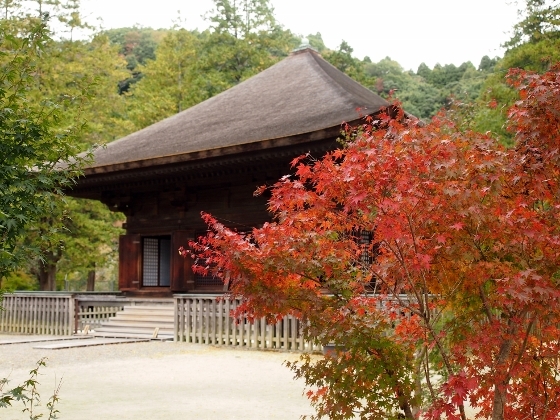 The area mainly spread among Yoshima, Uchigo, and Yumoto districts just south of central part of the city. 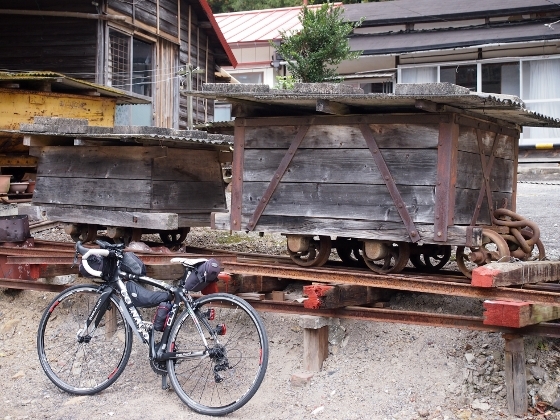 Today, I pedaled through some of these coal mine heritage sites between JR Iwaki and Yumoto Station. 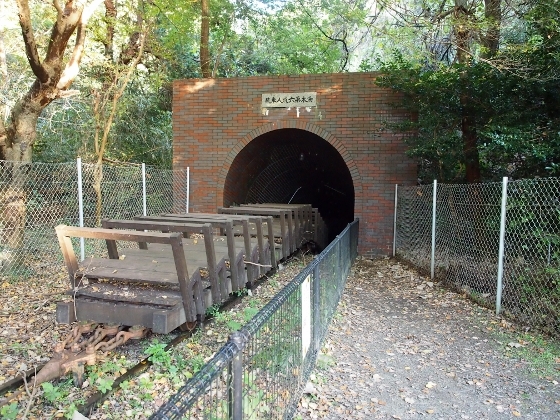 A photo above shows entrance to 6th mine in Yumoto district, where Showa Emperor visited in 1947 to encourage miners at 1.4km deep into the mine. The memorial site is preserved in the back of Iwaki City Coal and Fossil Museum. 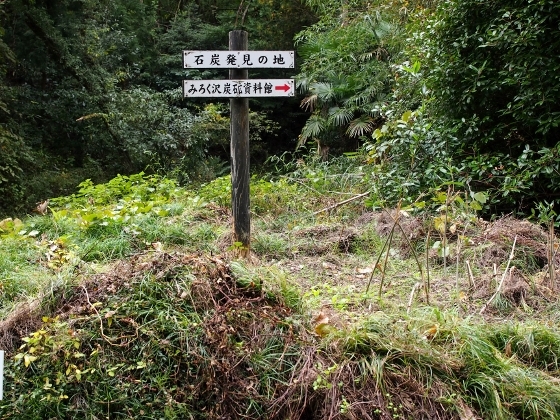 The coal mine was first discovered in 1855 at Mirokusawa stream in Uchigo district, where coal layer had been surfaced on earth. 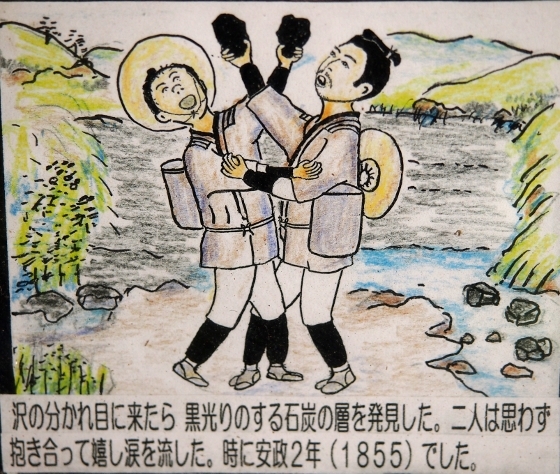 First photo above shows two of the finders, Heizo Katayose and Imazo Takasaki hugged each other with joy at the site. The second photo shows the actual site of discovery. 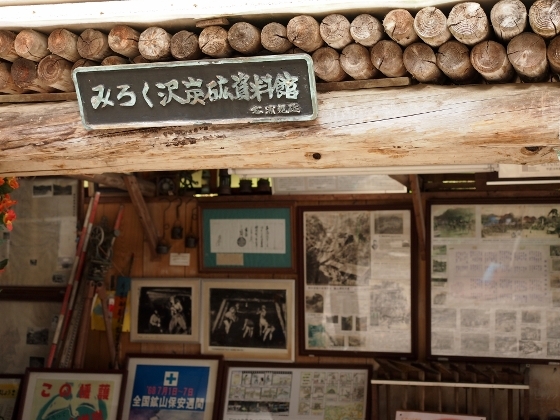 Documents related to Joban coal mine are collected and displayed at Mirokusawa Coal Mine Archive near the discovery site as shown above. Anybody can visit the archive free. All these sites are designated as Heritage of Industrial Modernization by the Ministry of Economy, Trade and Industry. In front of the archive facility, real truck cars for coal transport are displayed as shown above. 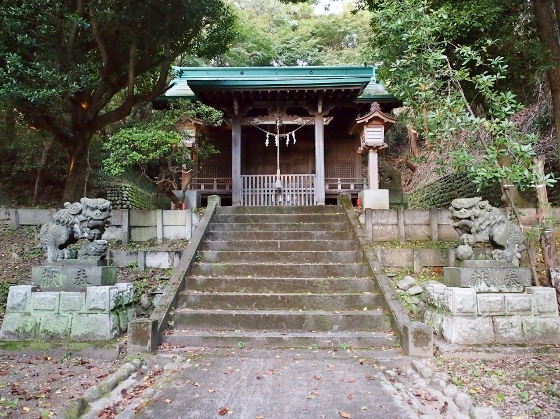 An old trail for coal transport by horses has been preserved right next to National Treasure site of Shiramizu Amidado Hall (the second photo). 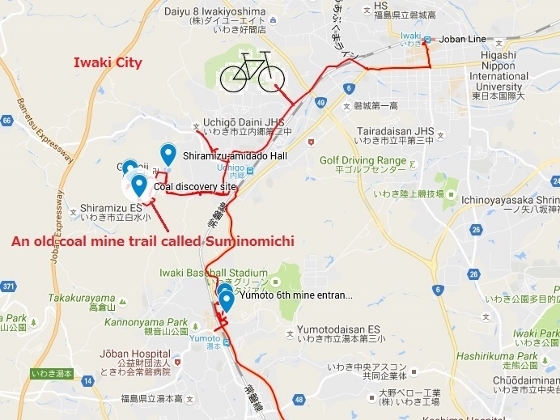 The first Photo above shows a map of the trail in red called "Suminomich" or "the road of coal". 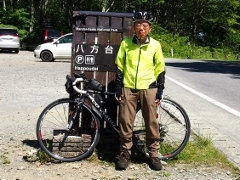 I pedaled or walked around the path and part of it was an old mountain trail as shown in the third photo above. 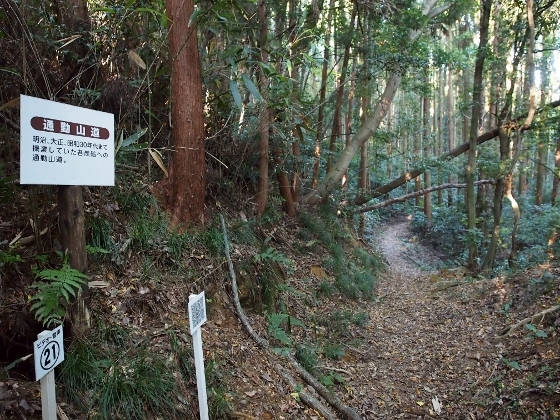 A sign board in the picture says that this path is also used for coal miners to commute. There were Shrines for each of the distributed coal mines for safety prayer of the mine in those days. 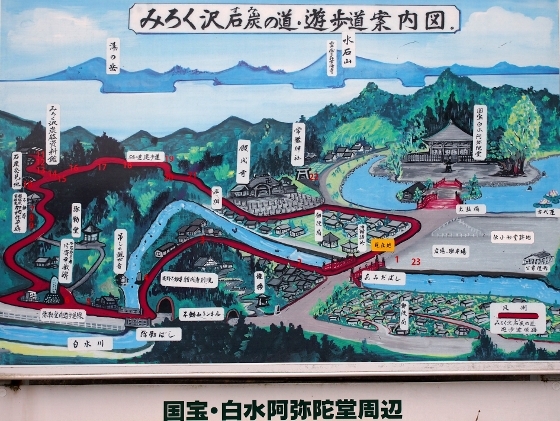 But as all the mines closed in 1976, all these Shrines were integrated into one Yumotoyama Shrine in Yumoto district as shown above.